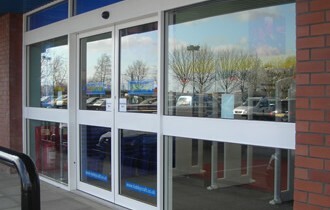 Your business entrance makes a statement and reflects the corporate identity of your enterprise. Even before they enter, customers and guests begin to make up their minds as to whether they want to get to know your goods and services better, before you even have a chance to convince them of your products. Give your business entrance a modern, appealing aesthetic look, and above all, turn it into an open door to your customers. 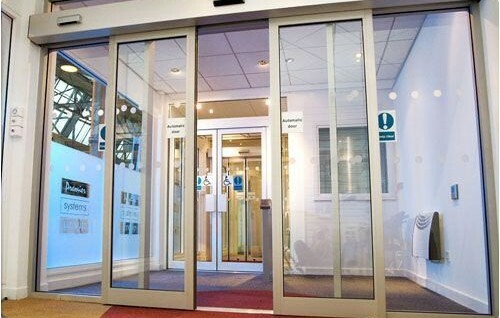 Our specialist automatic door division removes the technical complexity of fitting automatic doors at your premises, offering a dependable trouble-free service that ensures the correct combination of quality, usability, safety and convenience, incorporating the most up-to-date building regulations and DDA requirements. 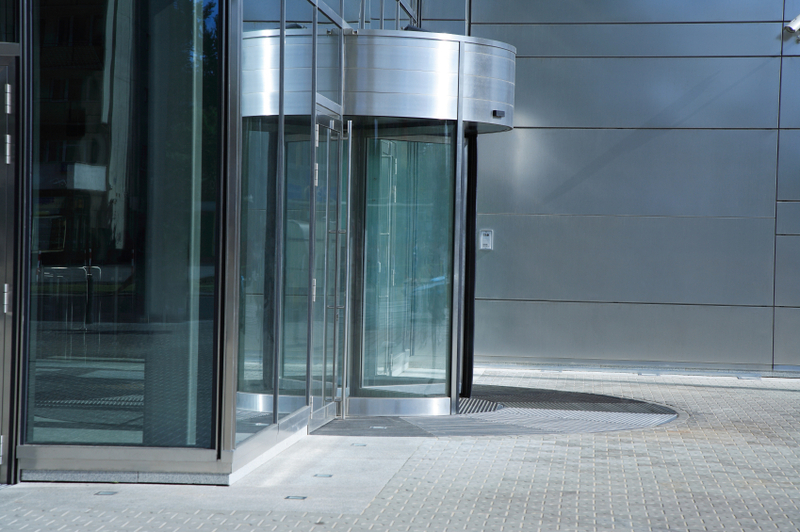 Abacus Shutters offer sliding, folding, revolving doors and operators and automatic and manual glass doors in London and Essex that are aesthetically pleasing, reliable and require minimal maintenance. Alongside our single and bi-parting operators, we can also offer double operators. These are the most flexible unit available on the market today and they are the ideal solution for both existing and new build applications. The Swing Operator can be supplied and installed as a single or double unit (in-head or face-fixed) and has the following features: Reliable, cost effective, easy to install, low energy, low maintenance and integrates with a wide range of accessories. 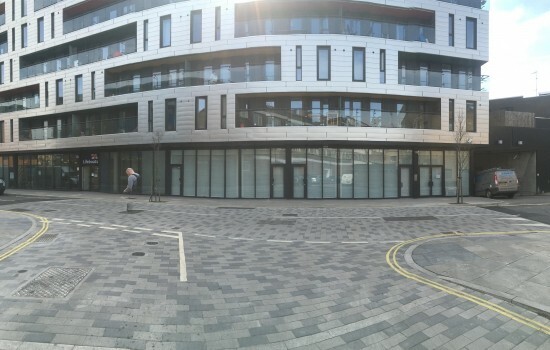 Where requirements dictate larger glazed areas. The Sliding Operator can be supplied and installed as a single or double unit (in-head or face-fixed) and has the following features: Reliable, low maintenance and integrates with a wide range of accessories. Similar to the Swing systems, can be incorporated into most premises with little building works. Normally are within the larger upgrading projects, but with the latest security issues we all face today. Can be retro-fitted to form a safer working environment also supporting any climate controlled building management system. Photocells, infrared movement detectors, floor-mounted induction loops, push pads, card readers, hand-held radio transmitters and many more. Abacus Shutters Limited offer solutions to meet all safety standards and ever changing legislation. Our doors and automatic operators satisfy all the requirements of the Disability Discrimination Act and Building Regulations Part M and offer simple effective access for all, in a safe environment. Option 1 an annual service and maintenance agreement to ensure all your automatic doors continue to comply with the latest legislation and remain in optimum working condition to BS 7036. Option 2 consisting of two visits per year, This normally is recommended is the traffic flow is higher than normal this package provides basic adjustment, ensures doors are working correctly and rectifies any minor faults in closing speeds, sensors back-check and latching, and checks compliance of automatic doors with BS7036. Call us today on 0845 644 1225 for more information about our swing / sliding or revolving manual and automatic glass doors in London and Essex.